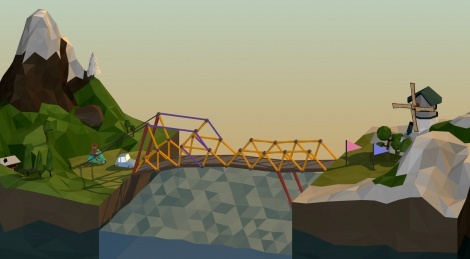 Available on Steam's Early Access since a few weeks, Poly Bridge is a bridge-building game in which you have to solve physics-based puzzle. Here are some videos of the tutorial and the first levels. Reminds me of Elefunk or how was it called. Good game.